Chokmah and Binah that are Father and Mother unify and the outcome is Da’at. The word Da’at, ‘דעת’, has the same root letters of עדות that means ‘testimony’ because the son inherits the light that comes from both parents. Da’at is also called ‘first-born son’ and Israel. Zeir Anpin receives the Light of Da’at that includes parts from Father and Mother. The three parts becomes one to ‘build’ the child, and essentially the son inherits from Father and Mother. When a couple wants to have a child it is important that they have pure and proper consciousness in order for the unification to produce pure light of Da’at that expresses the light of both parents. The child ‘inheritance’ from the parents affects the child on all levels. 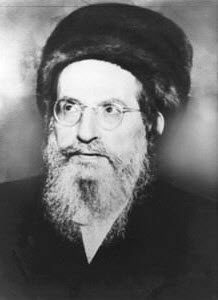 A skilled Kabbalist can look at a child and could tell about the consciousness of the parents at the time they planted the seeds. He can also tell what was the type of consciousness of the man and the woman. The DNA code of a person carries the ‘signature’ of the soul and a ‘testimony’ that reveals the concealed ‘inheritance’ of that person. The inheritance of Zeir Anpin puts ‘decorations’ on his head. Da’at that includes the two parts. A decoration called Chessed from the side of father and a decoration called Gevurah from the side of the Mother. They become the head of Z”A. Chokmah Binah and the two decorations from Da’at represent the Tefillin of the head that has four chambers. Each chamber has a parchment with a small section from the Torah. The son, Z”A, takes his inheritance and spread it from the Chokmah Binah and Da’at to the whole body. And from there continue to nourish the daughter, Malchut. Z”A inherits from Chokmah and Binah. Malchut depends on Z”A to receive the higher level light. The spiritual rule is that every level can receive only from the level that is exactly above it.